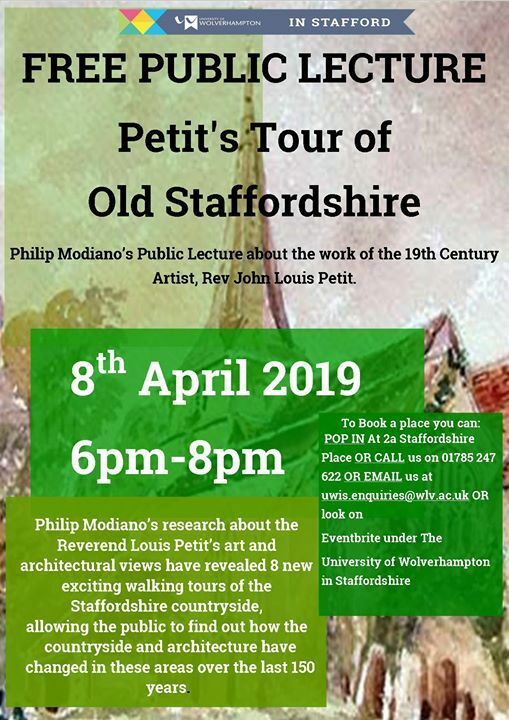 Philip Modiano will be delivering a Public Lecture about the work of the 19th Century artist, Rev John Louis Petit, a brillian watercolourist. In his writing and speaking, Rev John Louis Petit employed his art to demonstrate the diverse beauty of historic styles in order to stem the losses of the old, which were being swept away by new interests in Gothic Revival Architecture. Philip's research about the art and architectural views of the Rev. Petit have revealed 8 new exciting walking tours of the Staffordshire countryside, allowing the public to find out how the countryside and architecture have changed in these areas over the last 150 years. 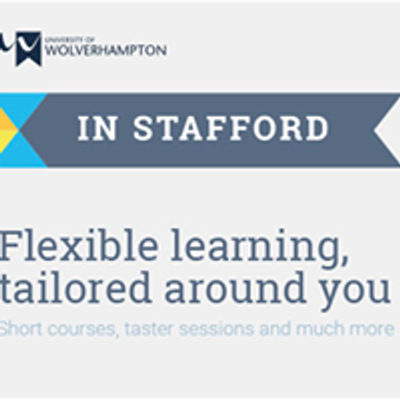 These include images of churches, Black Country mines and factories, as well as old mills and bridges, and Alton Towers before its re-development under the Earl of Shrewsbury. 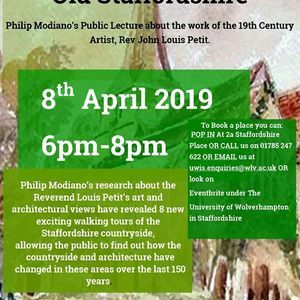 Come along and see exciting work by this little known 19th artist, and learn something new about local Staffordshire architecture, the countryside, and its historical development.